Jacob Cornell the son of Cornell Cornell and his wife Eva, was born in Bechtheim in 1676. 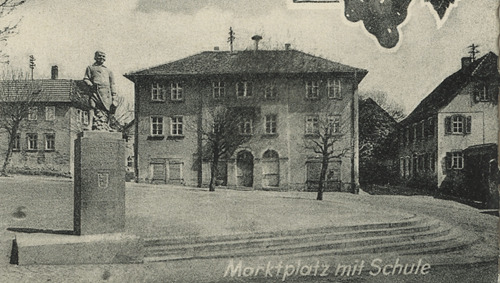 He married Marie Hermann in Abenheim in 1707. Their daughter Francisca, born 1719 in Abenheim, married Joannis Hartbauer in Herrnsheim in 1745. 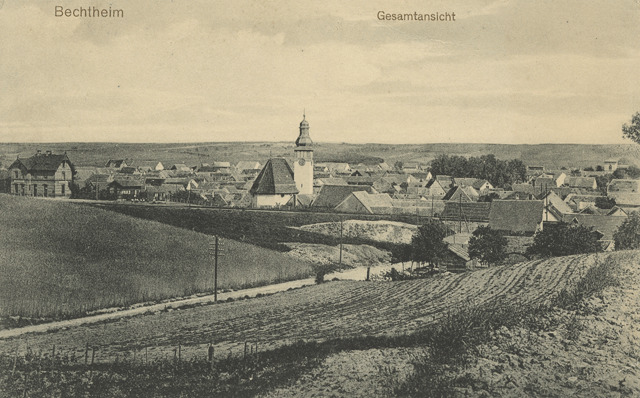 Bechtheim is a municipality in the Alzey-Worms district, Rhineland-Palatinate, Germany. It is located several miles north of Worms. There is evidence that the area has been inhabited since the Bronz Age (2000 to 800 BC). "The basilica, old wells, winding streets, marketplace, tithe barn, wine stone, stone pillory and widely visible tower of the Protestant Church dominate the picturesque site." The basilica of St Lambert was founded in the 8th century. 1700 wurde auch in Bechtheim das sogenannte Simultaneum eingefuhrt (protestantische Kirchen konnten von Katholiken mitbenutzt werden), was vermehrt zu Querelen zwischen den Konfessionen fuhrte. Loosley translated: In 1700 "Simultaneum" was introduced in Bechtheim (Protestant churches could be used by Catholics), which increased the disputes between the faiths. Note: Simulataneum preserved rights for Catholics in Germany in churches that had turned Protestant as a result of the Protestant Revolution. Under this concept Catholics and Protestants shared a common church, holding their worships at different times. This practice was introduced in every parish were there were at least 7 Catholic families. It could also involve the sectioning off of parts of the church for the different congregations. In 1722 the Countess of Leiningen gave the town a market charter to hold a maket in the spring and fall. 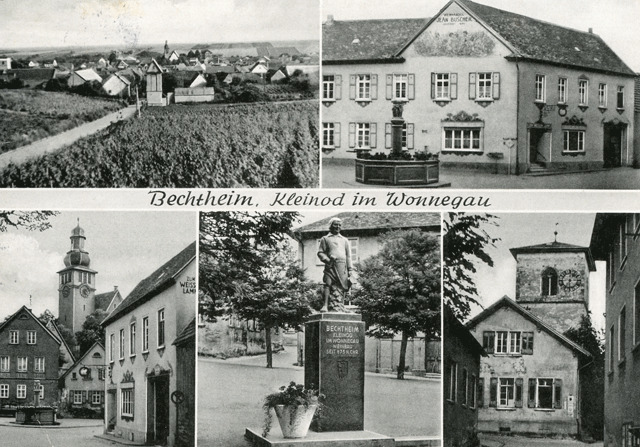 In the middle ages other noble families besides the counts of Leiningen lived in Bechtheim. 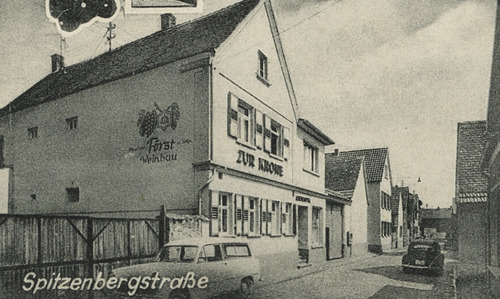 These included the Dalbergs, of Fleckenstein. A devastating fire in 1558 destroyed the church and many of the houses. The city was rebuilt with as many as 20 noble families having homes there. The French Revolution and the French invasion of 1795 ended the rule of the counts of Leiningen. 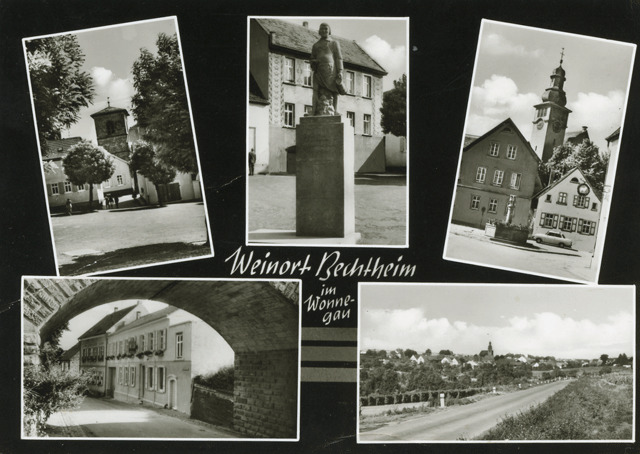 Bechtheim belonged to the same "Department" as Abenhiem, Osthofen, and Westhofen (as well as several other towns and villages). 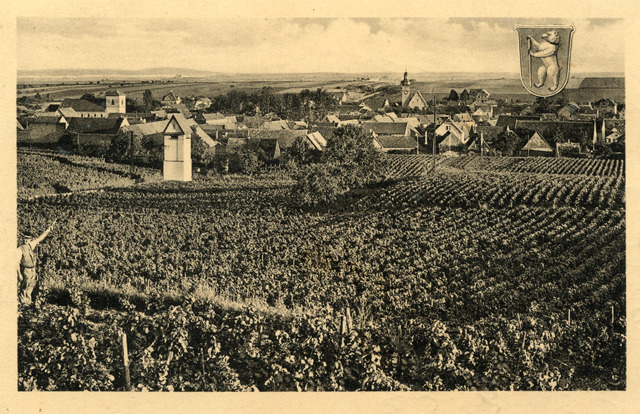 "The viticultural tradition of Bechteim dates back to a deed of gift to the Kloster Lorsch in 785, and unearthed relics indicate that it stems from as far back as the Roman period." The Roman relics include the foundation of a Roman farm house (villa) and two stone Roman coffins. "Gruss aus der Weinstube Eglehof Weinort Bechtheim-Rhein"